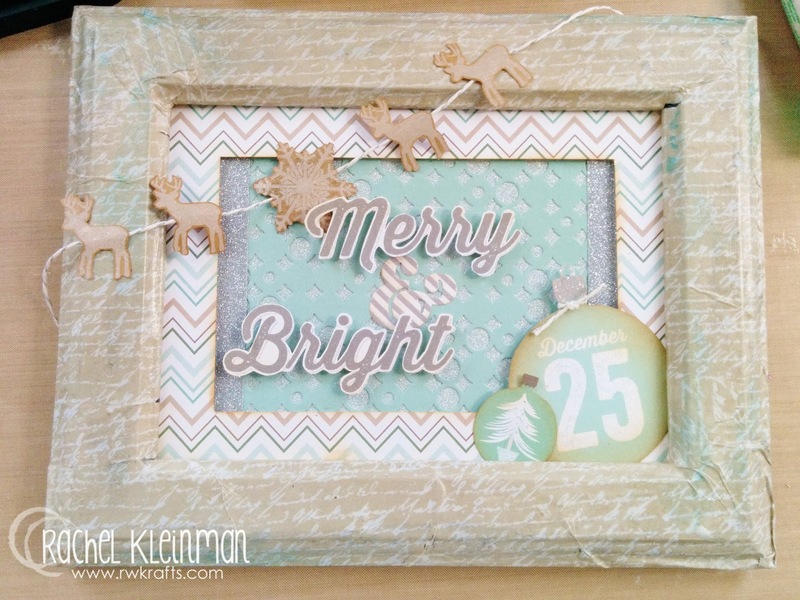 I created a holiday frame for my coffee table using DCWV Winter in the Woods stack and the gorgeous Spellbinders Contemporary Circles background die. Now I invite you to follow a full step-by-step tutorial for how this was created! 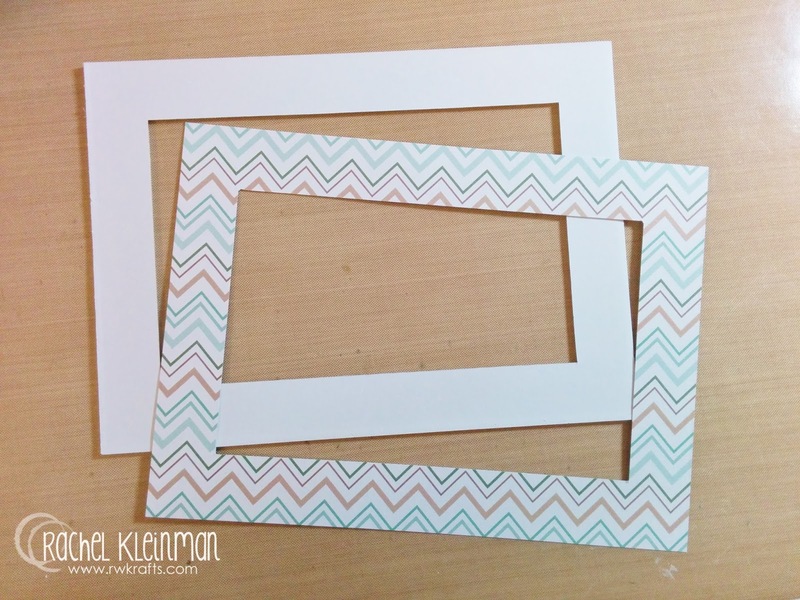 Trace the photo mat that was included with your frame onto your paper and cut. 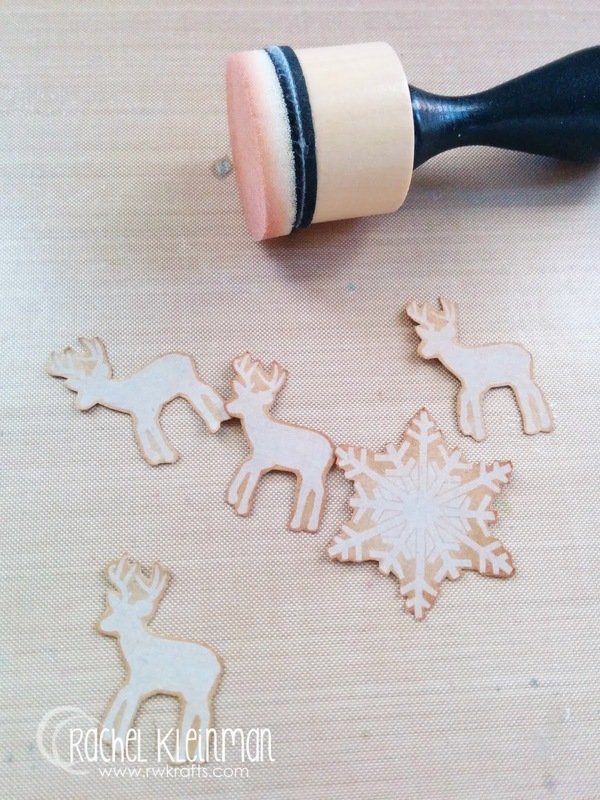 Glue the cut paper onto the mat, then ink around the edges. 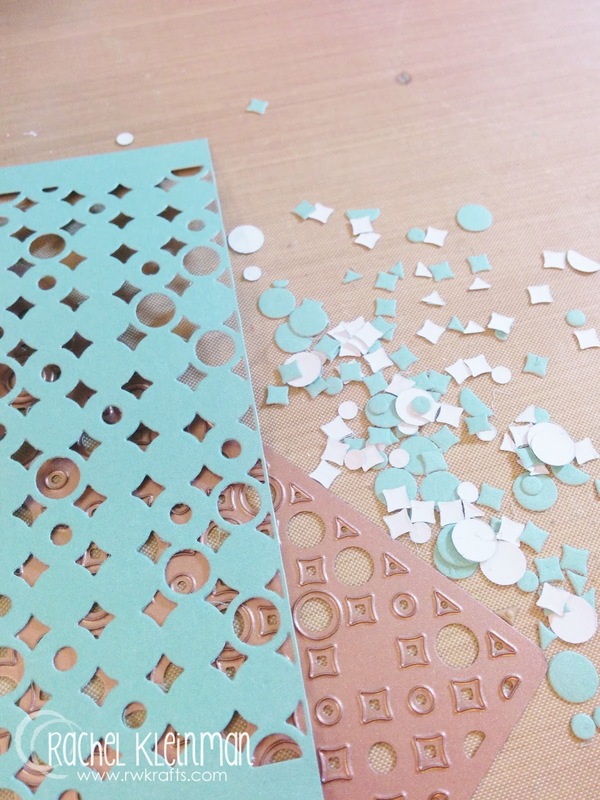 I die cut the Spellbinders Contemporary Circles from a lovely light blue paper. I backed the cut paper on some silver DCWV Glitzy Glitter paper, and framed the edges with silver glitter tape. 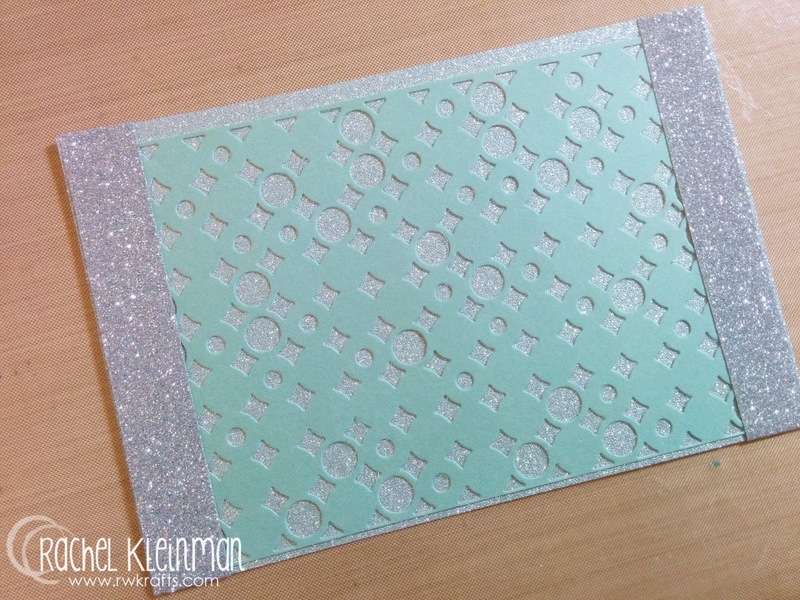 Adhere the cut paper to the back of your photo mat. 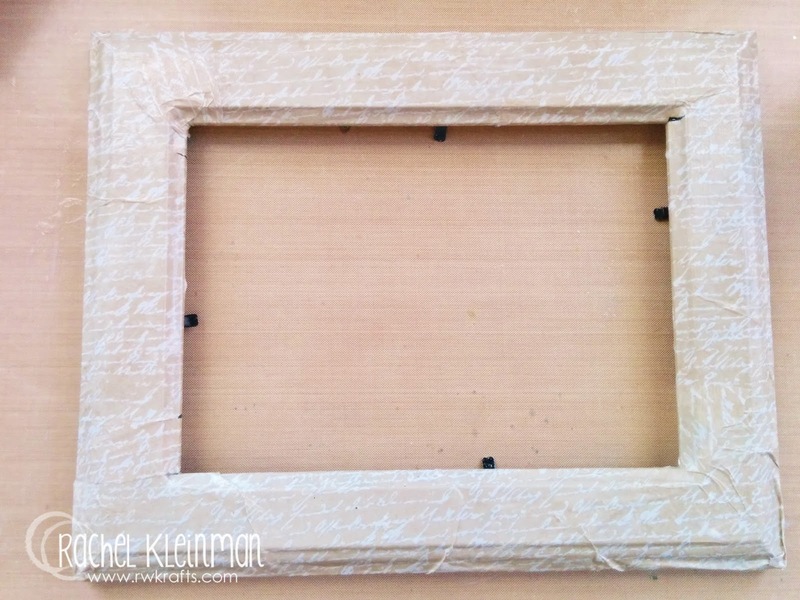 Now use DCWV Vintage Essentials tissue paper to decoupage the frame. 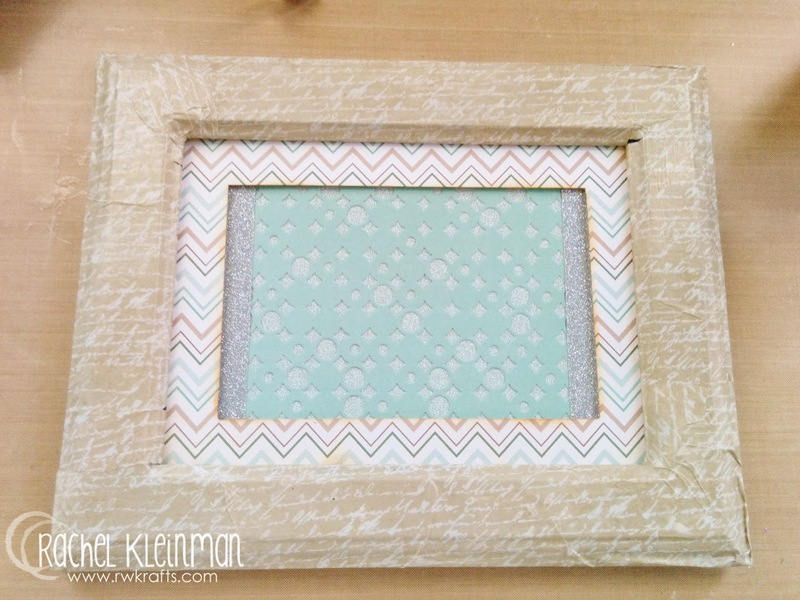 Then place your photo mat inside the frame. Now that the base of the frame is complete, we can start decorating the inside! 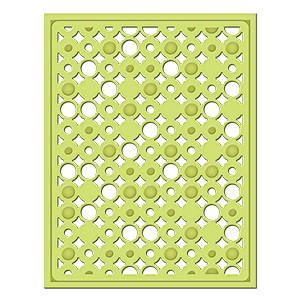 One of my favorite things to do with my DCWV stacks is fussy cut! 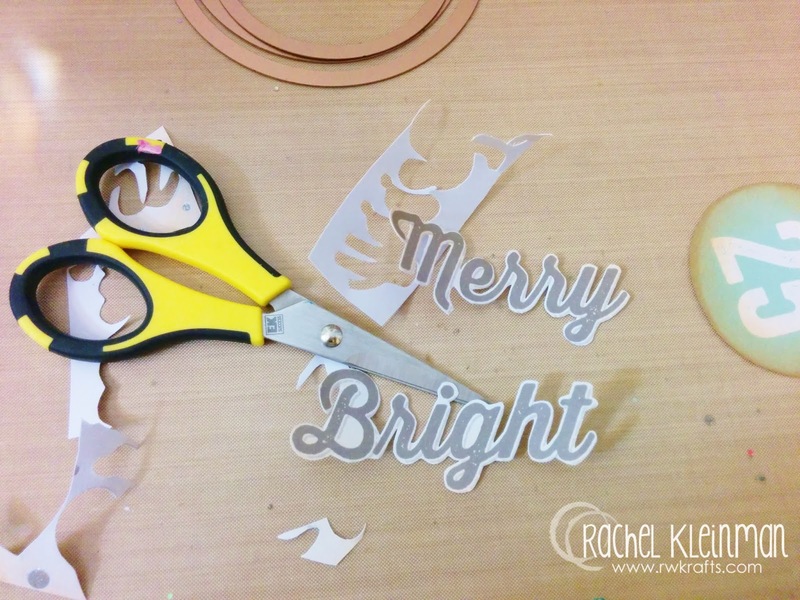 I cut the 'Merry and Bright', which will be the main focus of my frame. 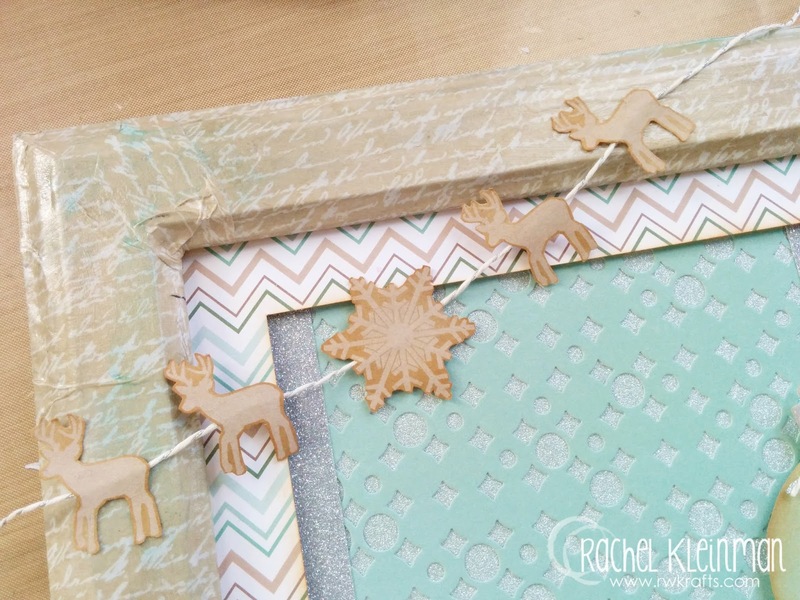 I also cut out little deer and snowflakes and glued them to some twine to wrap across my frame. 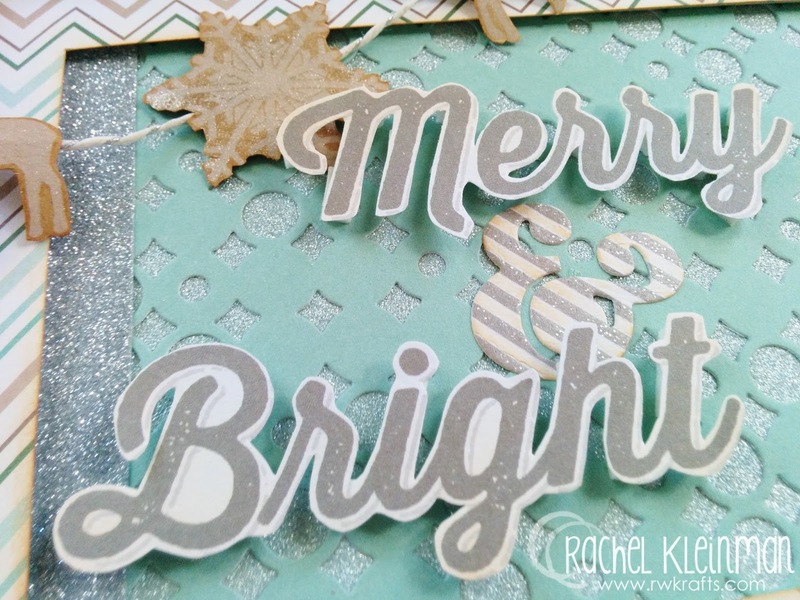 I had originally kept the 'merry and bright' sentiment on the full journal card it's from, but I didn't like how much it was covering that great Spellbinders Contemporary Circles die cut. So that's why I decided to fussy cut around the individual letters. I also popped the sentiment up with foam dots. This also helps keep it away from the gorgeous background die. From this point on, I really just kept cutting images from the DCWV stack to embellish the edge of the frame. I added glitter accents throughout the frame. Now for all the finished photos! Woohoo! You'll notice that I kept most embellishment off of the die cut background. I really liked how detailed that die was and I didn't want to cover it. I also love the glitter background, it looks like shimmery snow! I really really love that gorgeous Spellbinders die! I have already cut it for many more projects and cards to come. 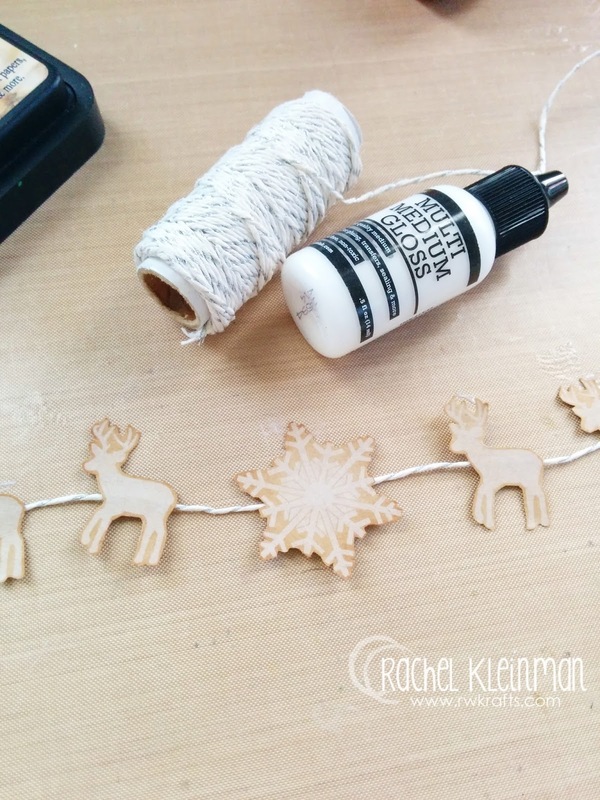 Now make sure to head back to the Spellbinders blog and the DCWV blog for a lot more holiday inspiration! Thanks for joining me!! Wonderful! Love the background and the color combo. TFS. 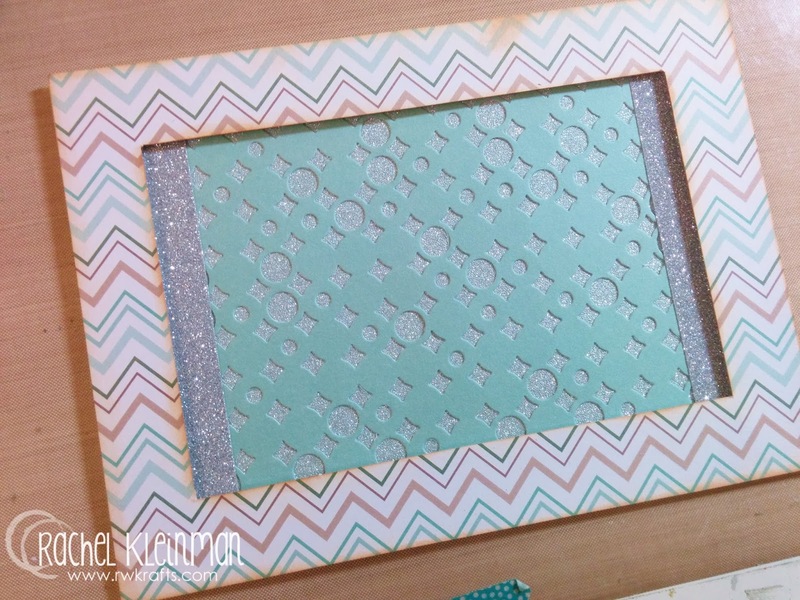 BEAUTIFUL decorated frame Rachel - LOVE your pretty layers, dimension and splash of sparkle!!! Gorgeous!! I definitely need to get my hands on this stack!! LOVE the colors!! TFS! Super cute. Never thought of fussy cutting my DCWV stacks but will now. You are the bomb. Thanks for helping this old brain. Love the colors and Glitter! Paper stack is wonderful! I love this! So many wonderful embellishments. Love your frame. What a wonderful home decor piece. Thanks so much for your tutorial. Wonderful framed creation. Especially like the soft colors & the reindeers. So gorgeous - love all the layers and the sparkle. Wonderful holiday frame, very creative. LOVE !!! Thanks for the tutorial. Great colors. 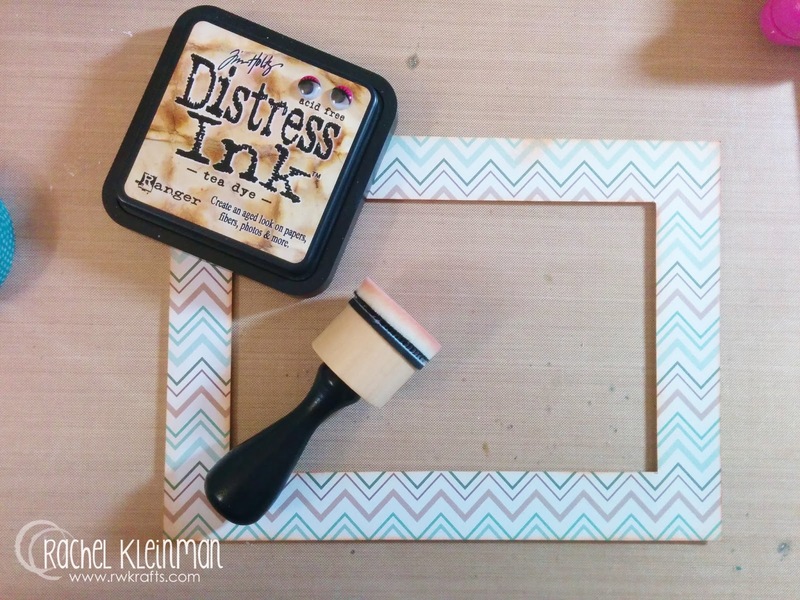 GORGEOUS framed decor piece for all winter -- LOVE your clever take on this die and your woodsy DCWV papers! gorgeous framed piece!Thankyou for the great tutorial! 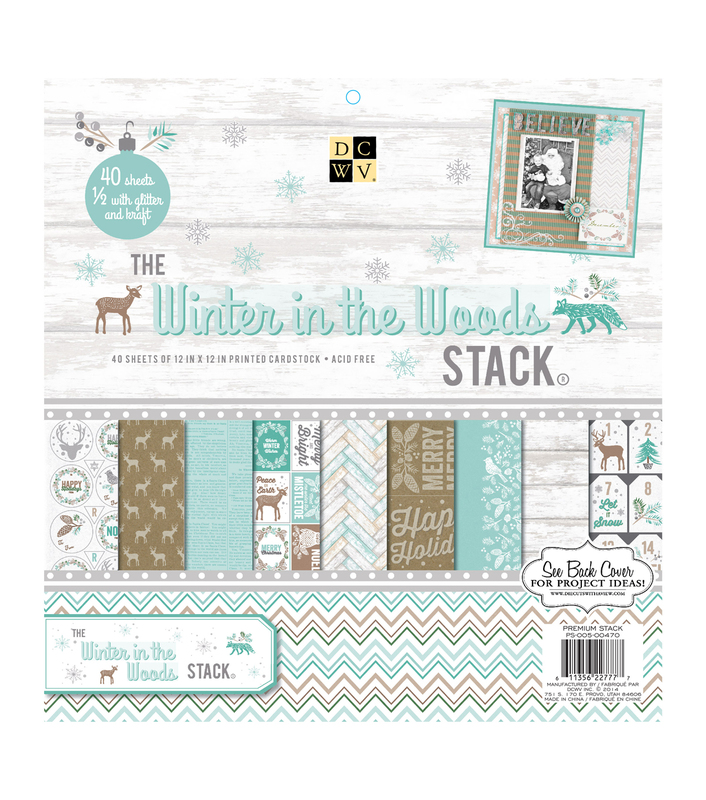 The woodsy wintery dcw papers are fab! Beautiful project. Really enjoyed the step by step instruction. Thank you. Lovely frame. Love the papers you used and the die you chose to use with it. Lovely project. I own this stack and am pinning your beautiful project! Love to fussy cut and your details are so perfectly designed! 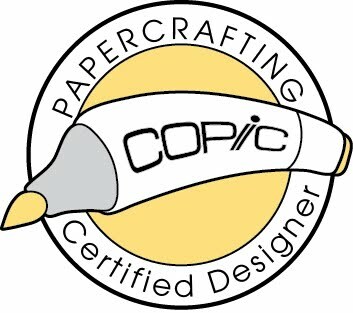 Love everything about it, and this is why I love DCWV for all the stunning paper stacks and tissue papers and fun stuff! Thanks again for sharing your tutorial! Awesome frame! Thanks so much for sharing! Totally awesome, Rachel! Love how you have used so many embellishments yet not overwhelmed the project! Love that SB die, and this paper collection, too---such soft, peaceful colors! I give you credit for the love of fussy cutting. lol, Beautiful awesome job! Rachel I just love soft pastel colors and this album fits the bill and I adore those sweet little Reinder you used this one beautiful album! So pretty! I love the banner! This is really beautiful, love all the soft, pretty colors you have used and those adorable reindeer!! Wow, this is so pretty! I love the soft colors and the reindeer banner. Thanks for sharing. This is one unique card creation! So many ideas on one spot with soft and lovely colors. What a beautiful decor piece! Thanks for the tutorial on how to complete it. 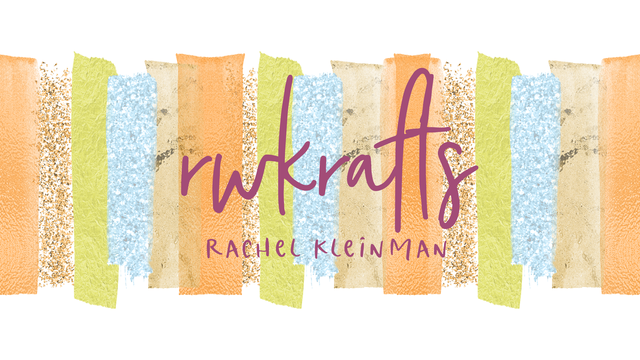 I love everything about your project here, Rachel. I didn't know that dcwv had tissue paper...and I'm so out of loop where dies go! I cut my spellbinder dies ahead of time and then grab them when I need them. The little banner is the icing on the cake here...haha...well done! This is sooo beautiful!!! Love this paper pad.....had to go pick it up!!! Gorgeous-I must have this stack. I too love to fussy cut-thank you for showing us all the delights to be cut in this stack. Beautiful, great way to decorate different parts of the house that need a little extra Christmas cheer. What a great project. Thanks for all the details to be able to recreate this.I am going to add this to pinterest to save for future reference. Beautiful fussy cutting for great detail on the frame. nice work. I love the soft pastels. 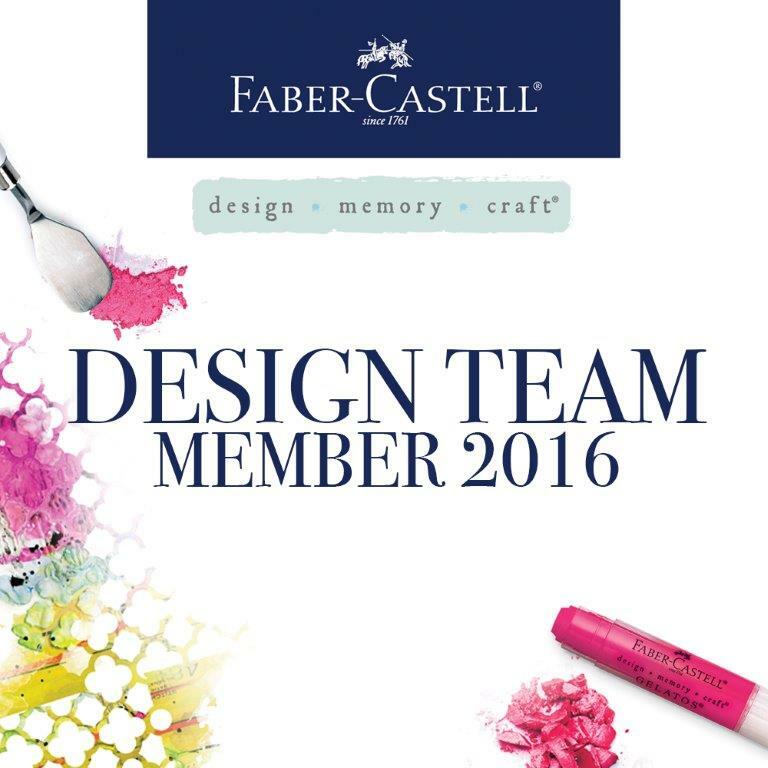 Beautiful project & great paper pack! Thanks for the inspiration. Love the frame. Great idea. Thanks for sharing. Beautiful work! Your fussy cutting is so neat, I thought you had a brother scan n cut! Beautiful frame! Thanks for sharing. Great layering, creates wonderful textures. Thanks for sharing. Wonderful colors. Love the background. Your frame is so lovely! I love that die! Hi Rachel! Love your frame! I'm a big fan of the woodland style. beautiful frame, is perfect for this holidays! Love the color choices and the reindeer! Just fantastic and fun for the holidays! All the hand cut detail pieces around the edge are so amazing. Wonderful stop on the hop!